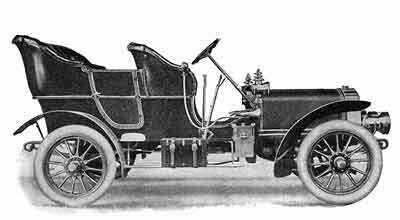 The Auto Body Company of Lansing Michigan was an early supplier of coachwork to automobile manufacturers located in Lansing, Michigan. The firm was established in 1901 by Lawrence Price, one of Lansing’s leading industrialists and financiers, specifically for the manufacture of automobile bodies. A large modern brick structure was built along the east bank of the Grand River at the northwest corner of Franklin (now East Grand River Ave) and Turner Sts (now identified as 1301-1307 N. Turner St.). Price was born in County Tipperary, Ireland, at Tempomore, on May, 27 1843. He emigrated to the Untied States with his parents in 1849 landing at Quebec, Canada. His father, who was a skilled mason found a job in Lewiston, Niagara County, New York. Price was educated in the Lewiston schools and enlisted in the Union Army in August of 1862. His unit, the First New York Light Artillery, Battery M, was assigned to the Army of the Potomac and took place in the historic battles of Antietam, Fredericksburg and Chancellorsville. His arm was severely wounded at Chancellorsville, but it healed quickly and he returned to active duty, traveling from Washington, then west to Chattanooga. His unit joined General Sherman in Georgia and was amongst the first Union troops to enter Atlanta. After engaging in the battle for Savannah, he traveled north seeing action at Raleigh, Averysboro and Bentonville. It was at Bentonville that he was wounded, this time on the face, and captured by Confederate forces and imprisoned at Libby Prison in Richmond, Virginia. He was released when Richmond was abandoned by his captors and returned with his unit to Rochester, New York where they were mustered out on June 29, 1865. Price worked in the oilfields of Pennsylvania for a couple of years, then in 1867 joined his family who had moved to an 80-acre farm in just outside of Lansing, Michigan near the State Agricultural College. He found work as a farm hand and eventually purchased 160 acres of wilderness in Bath Township, Clinton County, which was located just 8 miles from Lansing. In 1879, he relocated to Flint where he engaged in the grocery business, returning to Lansing three years later. He decided to try his hand at wholesaling store stock and soon purchased the lumber business of F.I. Moore in North Lansing. Two years later Price helped organize the Capital Lumber Company and served as its vice-president and manager until 1891 when he withdrew his stock following the death of J.S. Ayres. He then tried his hand in the hardware business, becoming an equal partner in the firm of Dunham & Price in North Lansing. He also bought a half-share in the dry good’s business of T. Rork & Co. which was reorganized as Rork & Price. For many years Price had been active in the Democratic Party and in 1891 was appointed Chief of Police and Marshal of the City by Lansing Mayor Frank B. Johnson. 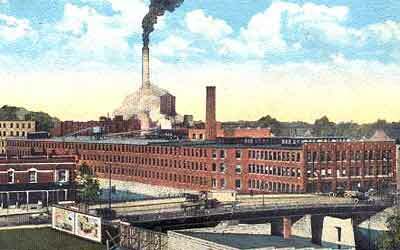 Price went on to organize the Lansing Brewing Company, of which he was president. Formed in 1898 with a capitalization of $25,000, the brewery featured two modern twelve-ton ice machines and employed twenty hands producing up to 15,000 barrels per year. Price remained involved in the lumber business and was president of the Rikerd Lumber Company, of Lansing. In 1901 he founded the Lansing Auto Body Works, the subject of this article, and later on organized the Acme Motor Company, of which he was also president. Price was an original investor in the REO Motor Car Co, and was also a director and stockholder in the City National Bank of Lansing, the Novo Engine Company, and the Auto Wheel Company, which was a reorganization of the Lansing Spoke Co., a firm dating from the late 1800s that was founded by E.S. Porter and L.J. Driggs. He also headed the Lansing Business Men’s Association which was the organization that was directly responsible for enticing Ransom E Olds to relocate to Lansing after his new Detroit factory burned to the ground in 1902. In reality, Price, not Ransom E. Olds, is the man most responsible for turning Lansing into the ‘Auto City’. Regrettably, he’s virtually unknown today. Following his stint as police chief, Lawrence Price served as the city’s superintendent of public works and was elected to the city council for a term of four years. He rose through the local political ladder was eventually elected as chairman of the Ingham County Board of Supervisors. In 1915 Price was elected to the Michigan Democratic State Committee and in 1916 ran unsuccessfully for US Senate against the popular Republican incumbent, Charles E. Townsend. The Auto Body Company took over the former Franklin St. factory of W. B. 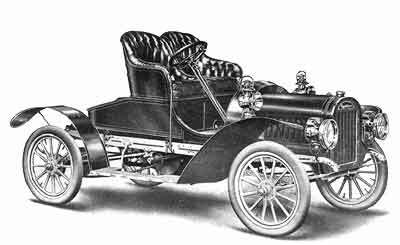 Stone & Co. and following Oldsmobile’s return to Lansing in 1903, Price increased the firm’s capital stock from $12,000 to $20,000. At that time the officers included Lawrence Price, president; Jacob Gansley vice-president, Lewis Sattler, Treasurer (E.S. Porter, was sometimes listed as treasurer) and C.E. Bement, secretary and production manager. All five men were also directors and shareholders in the leading businesses of Lansing which included; REO, Rickard Lumber, Lansing Brewing Co., Acme Motor Co., Peerless Motor Co., Novo Engine Company and the Auto Wheel Co. 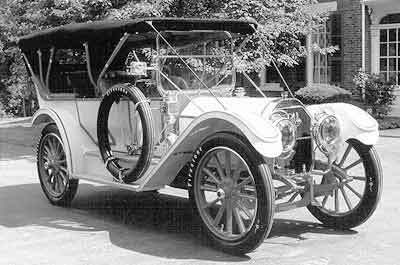 The Peerless Motor Co. (unrelated to the Peerless Motor Co. of Cleveland, Ohio) was founded in 1903 by Lawrence Price with a capitalization of $100,000. The small engine manufacturing plant was built adjacent to the Auto Body Co. at 1300 Turner St. Peerless’ motto was ‘there are others, but none so good’. The business of the Auto Body Company increased along with the success of their customers and in 1905 a new 3-story brick factory was erected alongside the original plant. Another large Auto Body Co. customer was Ransom E. Olds’ REO Motor Car Company on South Washington St. which was established in late 1904 after Olds left the firm that bore his name. 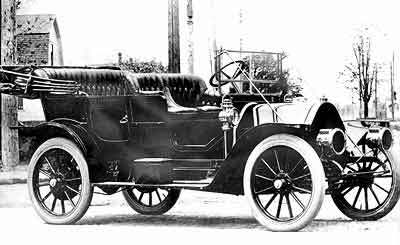 The first REO automobiles appeared in early 1905 and their successful line of trucks debuted 3 years later. 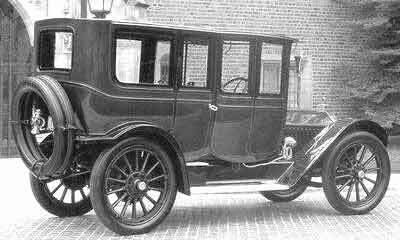 Auto Body not only made the firm’s automobile and commercial cabs, but through 1927 the supplied the firm with commercial bodies that included the firm’s delivery vans, busses, hearses and ambulances. 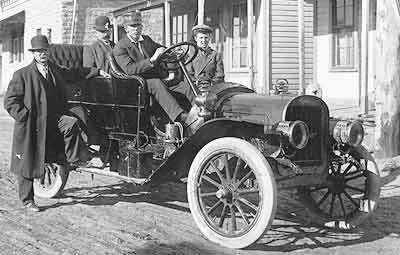 Other customers included ClarkMobile, New Way, Clark, Locomobile, Rambler, Stearns and Yale. 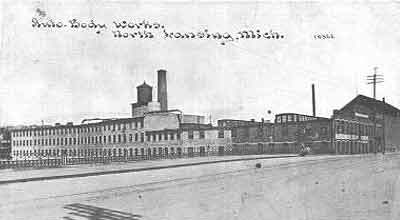 The firm’s fortunes increased as did their customer’s and in 1918 another large addition was built on their Franklin St. factory. Following the death of Price in 1917, the firm was headed by W.V.C. Jackson, its former Vice President and General Manager. Another large customer was the William Crapo Durant’s Durant Automobile Co. who established a new assembly plant in Lansing during 1920. 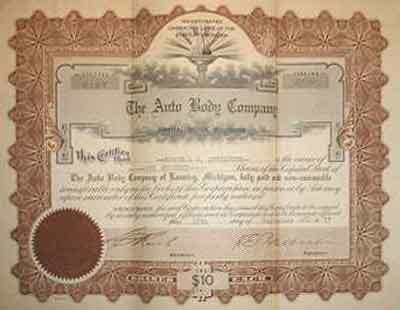 Most of the production Durant and Star automobiles built in Lansing were equipped with bodies furnished by the Auto Body Co. In 1921, J. W. Welch, the former head of Buick’s woodworking department was hired as general superintendent of the Auto Body Co.’s woodworking department. In addition to their automobile bodies, the firm was also a well-known bus body constructor. They introduced a monitor roof, center aisle bus body in the mid-twenties that combined the advantages of a pay-enter city body with that of the inter-city motor coach. 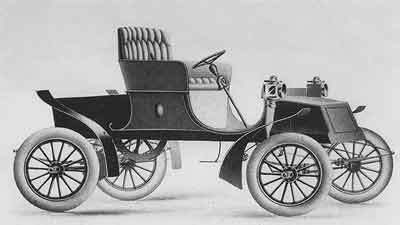 A few Auto Body Company bodies found their way onto chassis manufactured by the Six-Wheel Stageway Co. of Philadelphia, Pennsylvania. H. Jay Hayes, the founder of the Hayes Body Corporation purchased the firm’s assets in 1927, renaming it the Lansing Manufacturing Company. For reasons unknown, the firm was reorganized as the Victor Body Corporation in April of 1928 and by June was re-tooling to furnish commercial bodies for Reo. Hayes also hoped to provide bodies for Durant who had a large assembly plant in Lansing on Verlinden Ave. 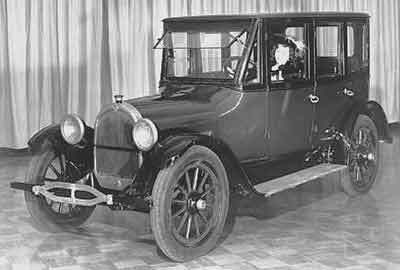 Yet another firm, called the Hayes Products Co. was established by H. Jay Hayes to supply wood-grained window trim, dashboards and other trim to the auto industry. Records indicate that the firm was also involved in manufacturing early automobile radio sets, which were often integrated into the dashboard. In April 1929, Hayes announced that another company, Hayes-Industries Inc., was being formed to combine the activities of the Victor Body and Hayes Products Co. The Depression and subsequent failure of Durant and REO effectively put an end to Hayes body building activities in Lansing, and the firm was shuttered prior to Fisher Body’s purchase of the Vanderlinden Ave plant of Durant in 1933. Another well known Lansing body builder, the Lansing Commercial Body Company, was located directly across the street from the Auto Body Company’s factory at 116 E. Grand River Ave. during the 1920s and 30s. The former Auto Body Co plant at 1301-1307 N. Turner St. became known as the Terzian building and during the 1950s, the Kish Plastics Company produced a prototype electric auto there called the NuKlea. Unfortunately the large structure was destroyed by a spectacular fire that took place on February 27, 1971. At that time the structure was the home of Benny’s Furniture Warehouse. Today a Sir Pizza restaurant occupies the southeast corner of the property at 201 E. Grand River Ave. The 1927 sale of the Auto Body Company to H. Jay Hayes coincided with negative publicity received by Lawrence Price’s widow following the notorious Bath School Bombing of 1927. On May 18, 1927, Andrew Kehoe, treasurer of the village of Bath, Michigan’s School Board, planted a large quantity of dynamite in the basement of the Bath Consolidated School, then detonated it. Bath, Michigan was a small village of 300, located 6 miles northeast of downtown Lansing. The blast occurred just after the morning bell had started the school day and forty-six persons, thirty-four of them children, were killed in the blast (another fifty-eight persons were injured, may of the seriously). A few minutes after the blast, the school’s superintendent, Emory E. Huyck, confronted Kehoe on a nearby street, whereby Kehoe fired into the back of his dynamite-laden automobile, killing both himself and the superintendent. It was later discovered that earlier in the day he had also killed his wife and dynamited their farmhouse which was located a mile outside of town. It was discover that Kehoe was despondent after the recent foreclosure of his home, whose note was held by Mrs. Price. Earlier that month, he had appeared before the school board pleading to have his school taxes reduced. He argued with his fellow board members that he could no longer afford to pay them as his wife was currently hospitalized with Tuberculosis and the combination of the mortgage, school tax and pending hospital bills had driven him to commit the insane act. When contacted by the local press, Mrs. Lawrence Price (nee Julia Bradford), Kehoe’s wife’s aunt, admitted to receiving a phone call from Kehoe the previous evening. She also stated that Kehoe had made no effort to pay the mortgage and denied any knowledge of Kehoe’s heinous plan. It later came out in the press that Mr. and Mrs. Price had earlier furnished some of the funds used to build the schoolhouse and consequently, many locals held the wealthy widow partially responsible for the bombings. The blast and subsequent investigation was featured on the front pages of the nation’s leading newspapers for the better part of a week and the Bath Bombings remain the worst school-related criminal/terrorist act ever committed in the United States. Michael Rodriguez - R. E. Olds and Industrial Lansing (MI) Images of America Series Arcadia Publishing Co.